Another day, another teaser. Faraday Future is sure trying to create some hype for its upcoming electric car unveiling at CES next month, but the teasers are starting to make us nervous. With almost every automaker lobbying to reduce fuel consumption standards in order to slow down electric vehicle production, we are placing a lot of hope in new electric vehicle startups not encumbered by an existing gas-guzzling vehicle business that they are trying to protect. If you are not cannibalizing your existing business when producing electric vehicles, it’s a lot easier to invest in mass production. That’s why companies like Faraday Future, Lucid Motors or NextEV are exciting to follow. Even though the failure rate of startups tells us that at least one or two out of the three are likely to fail, it will be a win for EV enthusiasts if even just one of them succeeds in achieving viable mass production of good electric cars. 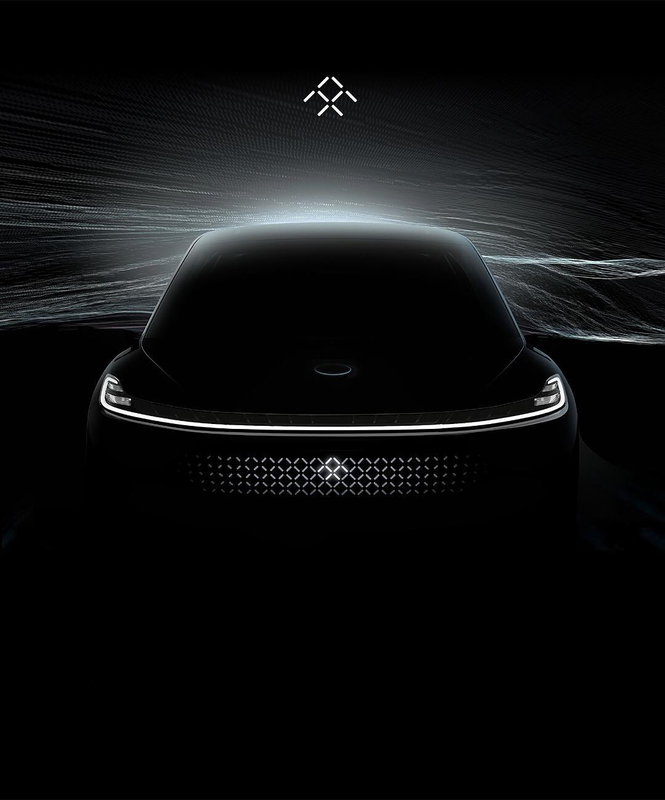 Now Faraday Future promises to unveil its first production intent vehicle, which it has been teasing all week (see all teasers further down below). In the last one, we thought that the retractable LiDAR sensor was on the roof, but no. This new teaser shows that it is right in the middle of the hood. We are aware that the integration of sensors for autonomous driving is difficult, but right in the middle of the hood? Really? What do you think? Nervous too?